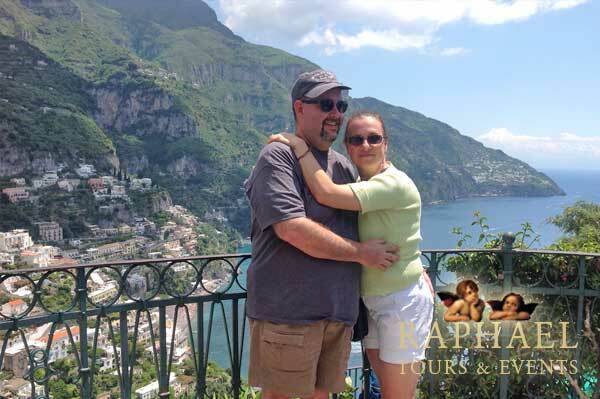 A visit to the Amalfi Coast is a traveler’s dream. 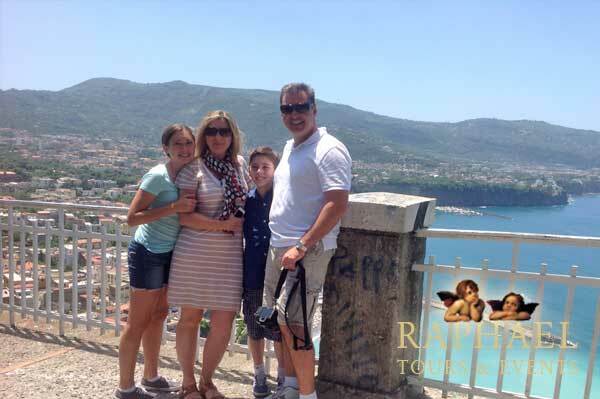 Fasten your seatbelt and let our English-speaking guide drive you along the corniche (cliffside) road for a breathtaking journey through one of Italy’s most picturesque regions. We’ll meet you at your hotel or cruise ship in our comfortable touring car for a worry-free outing. From the magnificent Sorrento Penninsula we’ll take in the view of Mt. Vesuvius and the turquoise Mediterranean waters of the famous Bay of Naples. This shining vista has provided motivation for artists, authors and even royalty over the years. Via the world-renowned Amalfi Drive, we’ll make our way over the Peninsula from Sorrento to Amalfi, past picturesque villages terraced into hillsides. Awe-inspiring scenery will astound you around every exhilarating bend of this narrow Roman road. The communities of Praiano, Furore and Conca dei Marini with their quaint houses and verdant grounds dot the landscape along the way. Just above Positano, we’ll park and admire a fabulous view of the town below. Then we’ll make our way down via the pedestrian area. This seaside community was once a thriving maritime hub. In the ‘50s it had a surge of popularity when it was mentioned in a Steinbeck novel. Today tourists enjoy sipping a cool Limoncello on the beach and exploring Santa Maria Assunta with its famed black Madonna. Next is primary coastal town, Amalfi. In the main square is the famed Duomo di Amalfi, dedicated to St. Andrew the Apostle, whose relics lie within. The cathedral is in the center of the lovely Piazza del Duomo, and dates to the 9th Century. 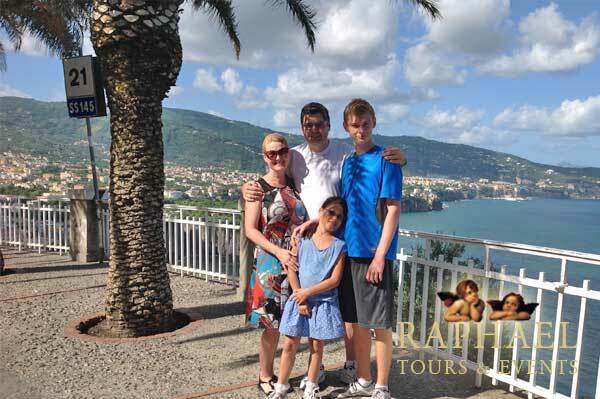 We’ll leave the coast and drive back up to the hillside town of Ravello, with its winding lanes and lush landscape. Here is the ancient Duomo di Ravello in the Piazza del Vescovado. It dates to the year 1087. Revello is a charming village that has inspired many a creative accomplishment.
! Contact us for reservations at [email protected]. Amalfi, Positano, Furore, Conca de' Marini, Ravello, Sorrento, Duomo di Amalfi, Ravello's Cathedral, Positano's Church of Santa Maria Assunta.